After I restarted home brewing last year, I decided I wanted to start experimenting with things a little more. Up until then I had focused more on the process and getting good, basic recipes figured out for house staples like my Mild or my Special Bitter, and I still do mainly make these staples, but why not start to be a little more adventurous? On November 1st, 2014, my new club – the AABG – was having a private apple pressing at a local orchard, and being the cider lover that I am I signed up to go. I came home with about 15 gallons of juice from three different pressings. One of those pressings contained 17 different varietals, and I figured if anything would contain an interesting mix of yeast and bacteria with which to start my wild/sour culture, that would be the one. My first attempt at creating my own sour culture started by naturally fermenting half a gallon of the apple juice. I put a one-way stopper in the top of the plastic jug and left it on my counter for a few weeks. It showed signs of early activity a few days in, and then settled down, and then shortly after developed a pellicle (likely because I kept pulling the stopper to smell it). After a few weeks I figured it’d had enough time to properly get started, so I put it in the fridge and then ignored it for a few months. I had a small taste to see if it was worth keeping, and I was pleasantly surprised to find it had a nice fruity flavour outside of the apples and a light tartness. After ignoring it in the back of my fridge for a few months over the winter, it was time to do something with it. At the end of a brew day I collected the last runnings from a porter recipe, figuring it would be a good starter home for the sour cultures introduction to wort. I didn’t bother measuring the gravity and added the wort it to one of my 5L flasks. I boiled it for about 15 mins to be sure the culture I pitched was the only thing that would take hold, then cooled and pitched and let it sit. I happened to go out of town for the first week of the cultures wort-based life and I left it in my basement, which at that time of year hovers around 60F, so I expected things to be slow. 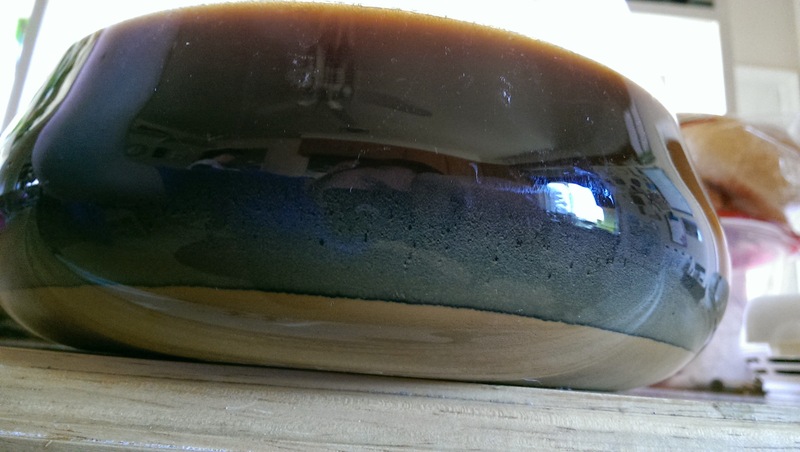 When I came back, I found a good amount of flocculated culture in the flask, which encouraged me that at least the sour culture could grow in wort. Since it was cool in the basement, I moved the culture to the main floor where the temperature in the upper 60’s most of the time, and it developed a pellicle that I think looks like a crater on the moon. The awesome looking pellicle created by my sour culture. After about a month of being in the starter, I sampled it and it was still smelling and tasting good, so I made a proper DME-based starter to step it up again. I did measure the final gravity on the first wort, and despite not knowing the starting gravity I started to become concerned about attenuation. I don’t recall the numbers now, but they were pretty high considering the wort itself couldn’t have been over 1.035. I made the starter at 1.040, and I also put it on a stir plate in my fermentation chamber set at 70F with a little extra nutrient early on to see if I could encourage/select for the yeast that would be able to process more maltose. 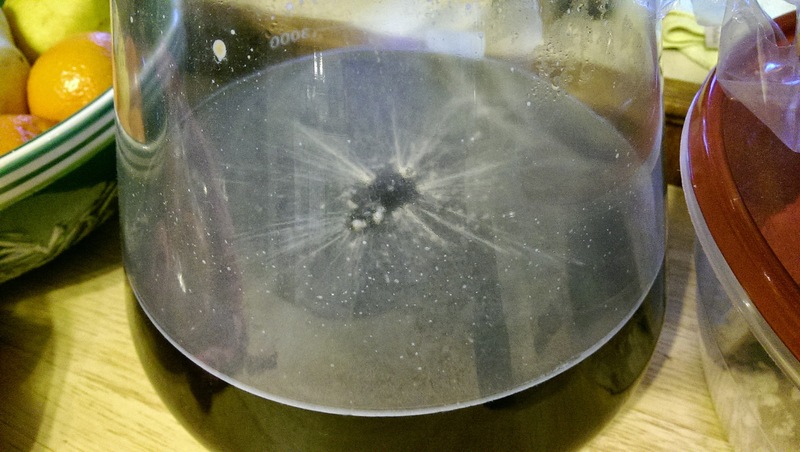 I saw plenty of CO2 production, even while on the stir plate, and after a few days I removed the stir plate and left it to do its thing in the fermentation chamber. All the O2 introduction of course sprouted a really thick pellicle, which got all bubbly and cool looking (pictured right). It was about this time that I signed up to join the AABG Lambic Barrel project, a project that has been going for a few years, which presented me with the perfect opportunity to test out my own sour culture. I only needed to make 5 gallons for the barrel project, so I planned to double on the batch to give myself enough lambic wort to test my sour culture out on. Still being concerned with attenuation, I started thinking about combining my sour culture with a commercial yeast strain to give me the best shot of not having a stalled fermentation. After consulting with a couple of trusted sources, including The Mad Fermentationist and a brew chat buddy Mutedog, I decided I would pitch my sour culture by itself initially and then check it a couple of months in and see how things are going. If the gravity was still high, I would then consider commercial options. 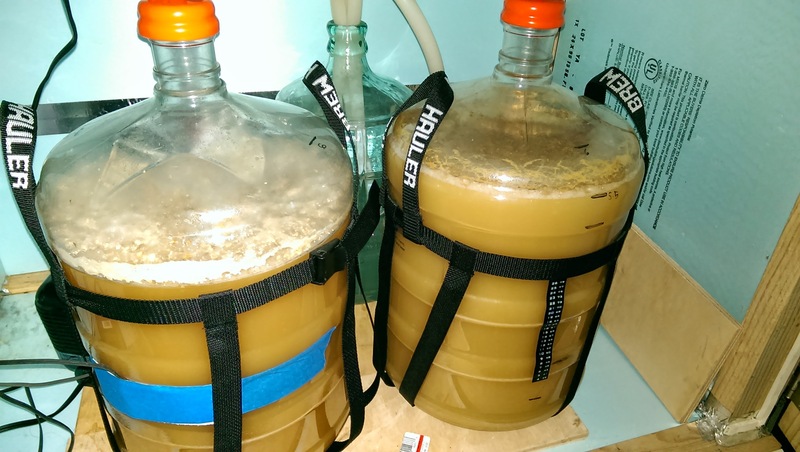 My sour culture beer on the left, WLP500 pre-lambic beer on the right. 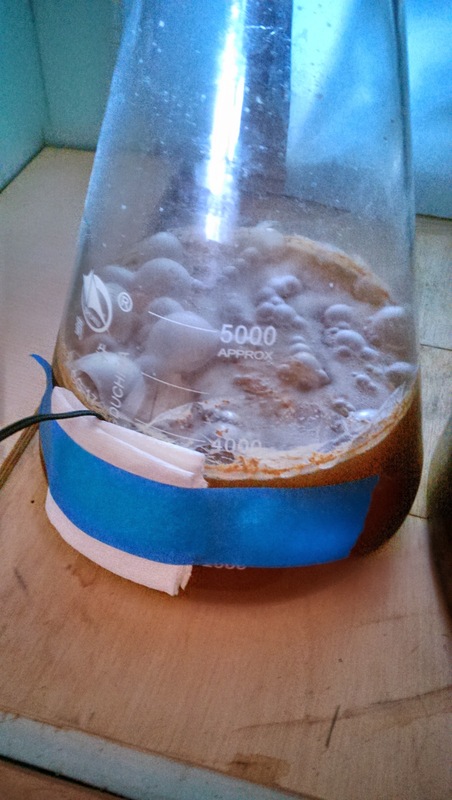 When it came time to pitch the culture into the lambic wort, my gravity had only dropped to 1.030 (from 1.040), and with a couple of deep, calming breaths I pitched my culture and crossed my fingers. The other carboy received a vial of WLP500, which gave me an interesting comparison as both beers fermented side by side. For the first 4 days my sour culture appeared to do nothing, while the vial of WLP500 got going within about 12 hours. On the 5th day I checked in the morning – nothing. Later that same day I checked again and was met with a good sized krausen! It didn’t stick around for more than 24 hours, and at this point I had ramped the temperature of the chamber up to help the WLP500 finish and produce some fun estery precursors for the barrel project bugs to munch. Going purely on off-gassing a minimal level of activity continued for a few weeks in my sour culture beer, until about 3 weeks in I woke up to find a new krausen atop the beer! My guess here is that Brett finally showed up to the party and my concerns over attenuation started to wane. Here is the sample, still very cloudy, but tasty! 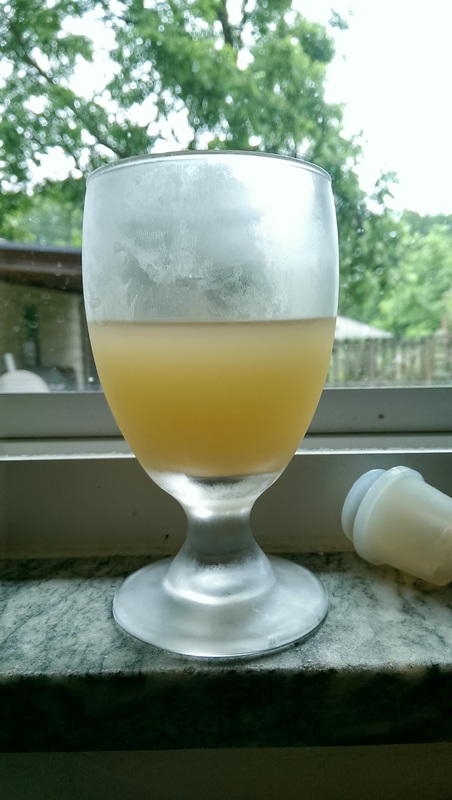 We are now two months post-pitching of the sour culture, and I finally took a sample and see how things are going. The wort started at 1.049 and lo-and-behold my gravity is now sitting at 1.003! I’m not sure it’s quite done yet either. The sample tastes pretty good for being so young. There is still the nice general fruitiness up front I’ve gotten since it was naturally fermented apple juice, and there is a pleasant level of tartness, with a finish vaguely like pineapple – hello Brettanomyces! I now have pretty high hopes for this culture to stick around. I’m going to rack the beer over to a 5 gallon carboy this weekend to reduce O2-inducing headspace, and harvest the settled portion of the culture for later use. 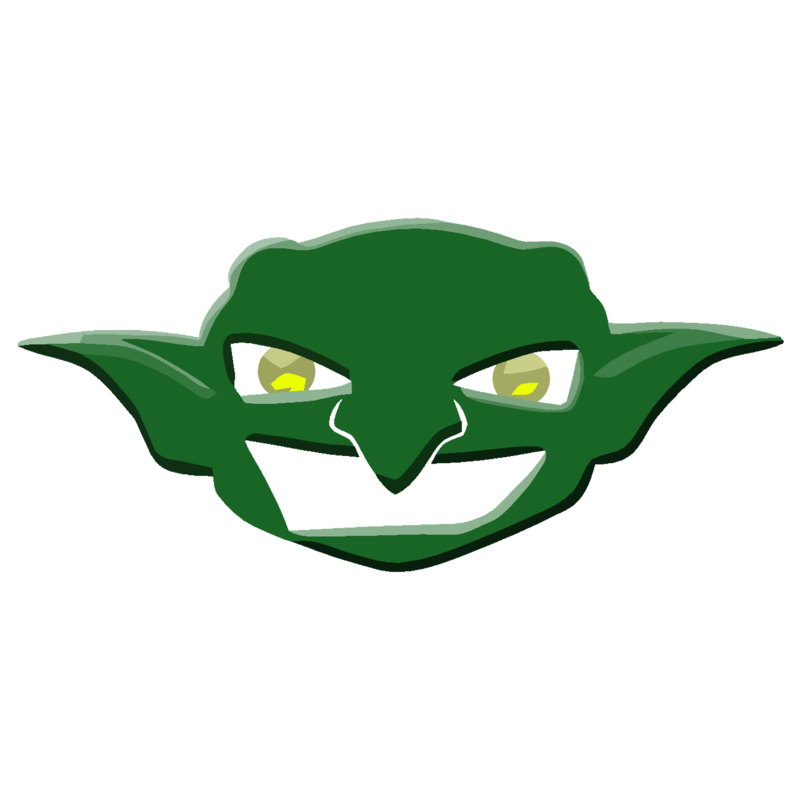 I’m thinking my next brew will be my dubble recipe, which I’ll split and do half with the sour culture from the outset and see what comes out.